For a party that claims to staunchly uphold the ideals of Ghana’s first postcolonial leader, whatever these ideals may be, the rump-Convention People’s Party (r-CPP) has yet to demonstrate beyond the proverbial shadow of a doubt that it has what it takes to win local or parliamentary elections, let alone a presidential election. And so any talk by the key operatives of the party about strategizing to win the 2020 general election is sheer hogwash (See “CPP Strategizes to Win 2020 Elections” DailyHeritage.com.gh / Ghanaweb.com 2/8/18). Such re-strategizing may inescapably and inevitably have to include the reunification of all the splinter so-called Nkrumah-inspired, or Nkrumaist, political parties, notably, the Progressive People’s Party (PPP) and the People’s National Convention (PNC). And then, of course, the so-called Great Consolidated Popular Party (GCPP). I personally don’t believe that the present cast of characters in charge of the rump-CPP has what it takes to unify the splinter Nkrumaist political parties. The fact of the matter is that besides their inordinate hunger for power, the leaders of these left-leaning splinter political organizations simply have absolutely no moral and leadership credibility. They also have no vision or any coherent development agenda for the country. But even more significant is the fact that most of the diehard Cii-Pii-Pii-ites are already working among the ranks of the Rawlings-founded and chaperoned main opposition National Democratic Congress (NDC). And until they are able to dismantle the equally faux-left-leaning NDC, it is highly unlikely for the movers-and-shakers of the rump-CPP to see the internal architectural layout of the Flagstaff House, other than as mere passing tourists. I don’t see such progressive strategizing happening anytime soon. Nobody believes that the leadership of the rump-CPP or even the NDC is any better than Dr. Papa Kwesi Nduom, the veritable summertime socialist and populist and former parliamentarian, cabinet appointee and promiscuously perennial presidential candidate, who is at heart a cutthroat-capitalist hustler out to using unsuspecting Ghanaian voters to further, as well feather, his own vaulting ambition for the presidency. 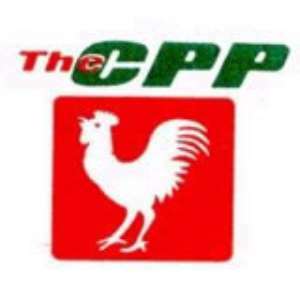 That neither the rump-CPP nor any of the other splinter Nkrumah-inspired political parties won a single parliamentary seat in the 2016 general election, ought to inform the jaded likes of Prof. Edmund Delle, the National Chairman of the rump-CPP, that he and his associates and fellow ideological truckers need to first learn to crawl, practically speaking, before they can credibly begin to dream about being able to walk or gunning for the presidency, in the plain language of political jesters and pathological tomfools, if there were any such expression. Then also, any political party still holding onto such obsolescent institutional structures as “Central Committees,” ought to count itself as decidedly outside the “Astroturf” grounding of contemporary Ghanaian politics. This is where the public relations concept of “branding” or “rebranding” comes in handy. But even on the latter score, I am not sure that Prof. Delle and his associates are anywhere near there yet. They need to also get far away from the primitive politics of personality cults and map out a serious forward-looking development agenda for the country, if they ever really aspire to the assumption of the country’s leadership mantle in the offing. Merely running around and vacuously screaming like some spoilt brats for their apparentlyperceived adult political toy of the Flagstaff House is highly unlikely to materialize. A world to the wise….